The Netflix series "launches with the furious confidence that would make Westworld or True Detective's showrunners quake in their boots, shooting the viewer directly into the fully realized world of the contemporary East Village of Manhattan—a real place, of course, that doesn't need much world-building," says Tyler Coates. He adds: "I don't know about you, but I'm kind of tired of the endless parade of TV mystery shows with complicated, multiple-timeline plots that require the viewer—that require me, specifically—to piece together the narratives in order to have anything that I'm consuming make any damn sense. These types of shows, usually dark and brooding prestige dramas about soulless men whose existential crises are supposed to shine a light on our collective troubled humanity or whatever, usually make me groan. I love a high-concept premise, but I hate it when I feel like I have to do the work of a TV show's writer, taking disparate plots that have been offered to me piecemeal and assembling them back together again. It's TV watching as labor, and it often makes me think that the people behind those kinds of shows have no idea what story they're actually trying to tell." On the flip side, he says, Russian Doll "turns from comic to mournful and back around again, but at no point does the show lose its soul." 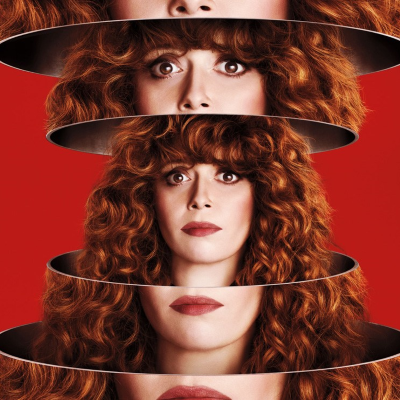 How Russian Doll uses Groundhog Day to make it make it "a better—not necessarily novel—show"
Why doesn't Russian Doll reference Groundhog Day?